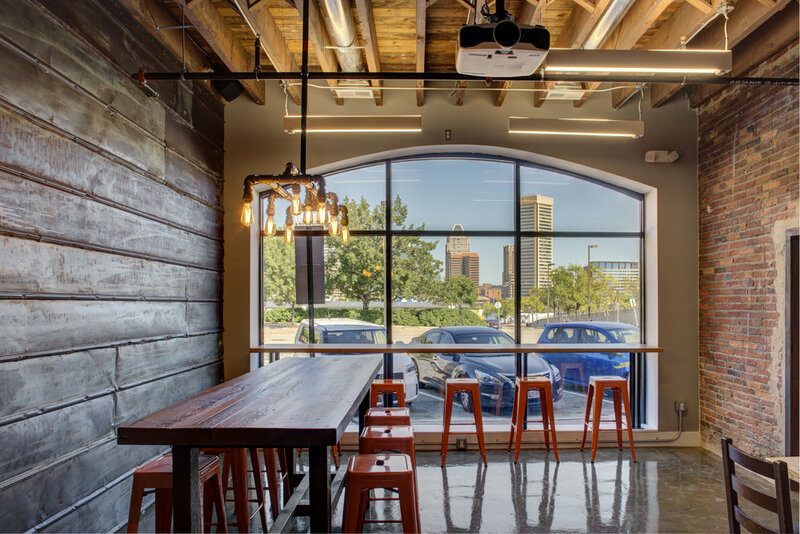 3 Bean Coffee is a recently completed architectural interiors project located in Baltimore along the Inner Harbor. The coffee shop is located in a recently renovated historic building which at one time was a livery stable. The design celebrates the "imperfections" of the existing structure and incorporates locally crafted millwork and furnishings. The overall theme is the "craft of things;" the craft of fine coffee and architecture. The relationship between the two only reinforces the user experience. 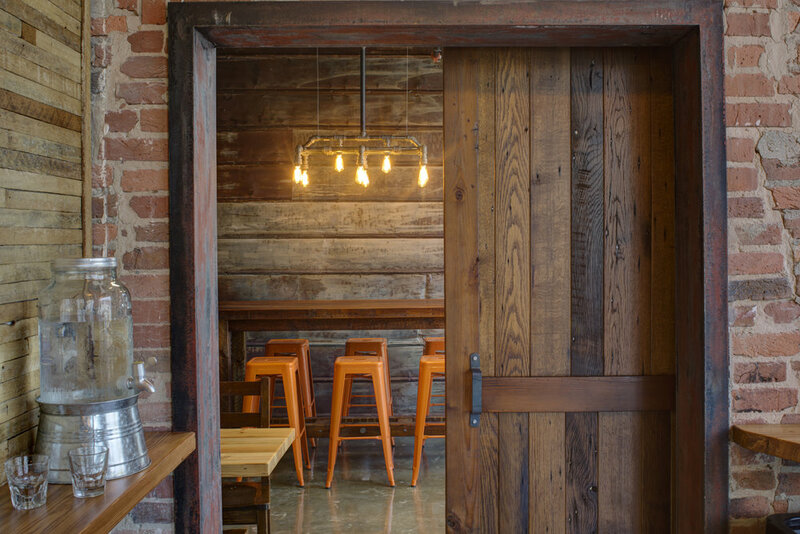 Locally sourced reclaimed lumber and metal are used throughout, including locally crafted custom furniture and millwork made from reclaimed wood sourced in Baltimore City. Locally crafted lighting fixtures incorporate energy efficient LED 'Edison' bulbs.